Have fidget spinners taken over your world yet? My boys LOVE them! There are some things in life that when I can’t beat it, then I try to figure out a way to use it to my advantage! Fidget spinners has become one of those advantages! How you might ask? Keep reading…..It’s genius! When I first saw fidget spinners I thought, “OH GEEZ!! REALLY?” Then we finally broke down and got some for our boys, and I actually didn’t mind them. I would let them spin away during school, and they were still listening and doing great! Then they wanted to take them everywhere……..like church! We tried it once and will never allow them in church again. Yes they are quiet, actually no…..they aren’t…..ESPECIALLY with 5 of them going! I felt like I was going to go crazy with all the spinners going off around me!! Now we keep them home. I did however start to incorporate them in our schooling, and my boys love them. We use them as timers for many different things. My older son does a long division problem and tires to beat the spinner. My other son does a page of multiplication facts. It is unique and different with each child. 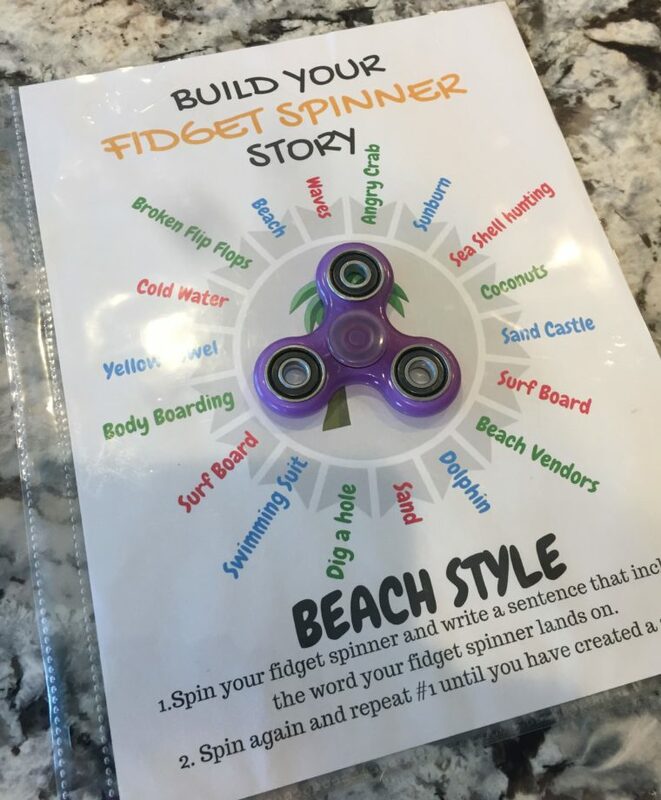 I am always looking for new ways to encourage creative writing, so I came up with a way to incorporate the fidget spinner with writing stories. This is the printable I came up with……..
#1 – Place fidget Spinner in the center circle of the paper. 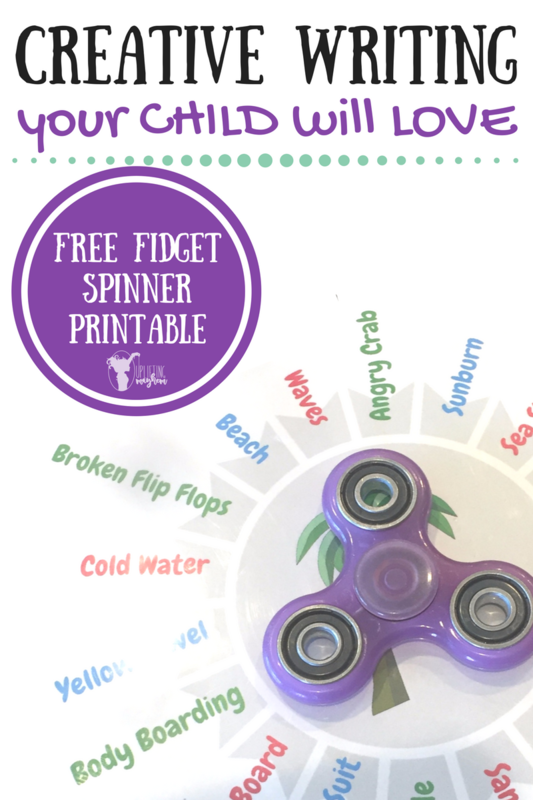 #2 – Have your child spin the fidget spinner. #3 – Whatever word it lands on, have your child write a sentence that has that specific word in it. Mark one end of the fidget spinner and whatever it lands on, that is the word they use. Let child choose which of the 3 words they want to use in their sentence. OR you can have child write 3 different sentences for each 3 words they land on. #4 – You can mix it up a lot! One thing I have noticed a lot with homeschooling my boys is that they get bored doing the same the same thing! This printable has so many different options. One of our favorite ways to utilize this printable is having everyone participate it writing a sentence. 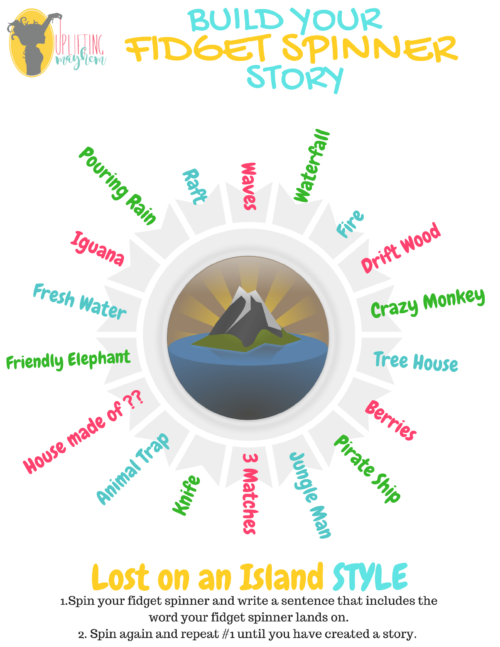 We each spin and write a sentence with our selected word, and we create a story! 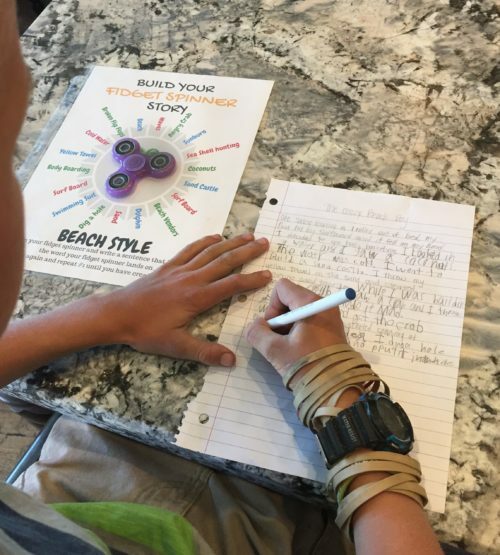 It is so fun to change things up and it allows my boys to see how I add creative sentences in to make it more interesting and fun. #5 – In the process of making many different styles to add to your binder! Like I mentioned above, my boys love a variety! I asked my boys what kinds of styles they wish to have and am in the process of creating them all. 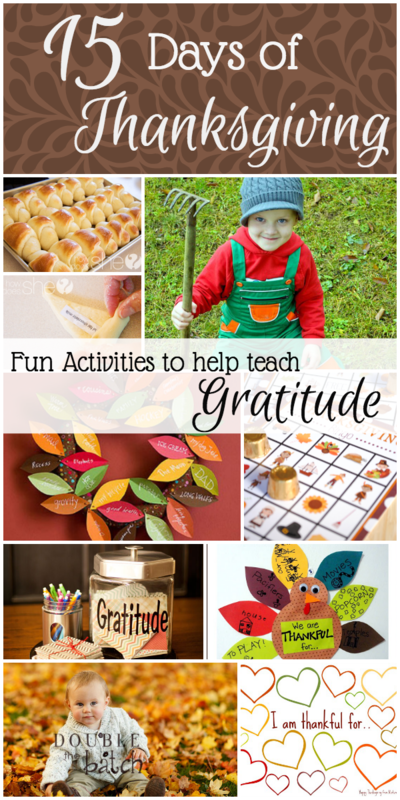 Right now I have 4 FREE PRINTABLES that you and your family can enjoy!